Doctor Who: Eleventh Heaven | Warped Factor - Words in the Key of Geek. Dr. Moo celebrates the amazing mad man in a box. The Eleventh Doctor (or the twelfth, or possibly even the thirteenth, and you could even make a case for fourteenth if you so desired but officially he’s the eleventh so let’s go with that) is my favourite – I’ve said it before and I’m saying it now and I’ll still be saying it for a very long time to come unless something miraculous happens when Peter Capaldi’s replacement eventually shows up. 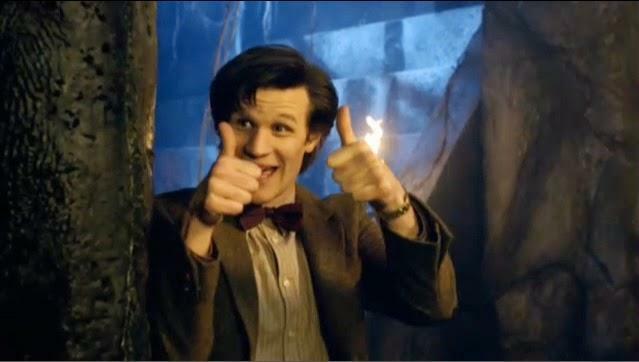 That’s how highly I rate Matt Smith’s take on the not-last Time Lord. So as we here at Warped Factor wrap up our look back at his time in the TARDIS join me as I examine just some of the things that made his Doctor and his era stand out from the rest. The first thing you notice about his Doctor if you’re watching the show religiously is how much of a breath of fresh air Smith offered after the dreariness of The End of Time. The way David Tennant left was insulting to the incoming Doctor – I don’t blame Tennant, I blame Russell T Davies – with “I don’t want to go” and "Everything I am dies, some new man goes sauntering away and I’m dead" being the worst offenders. But I’ve already devoted an entire article to that in the past so I’ll leave it. After that overly long and barely tolerable final story for Tennant we end with a minute or two of Matt Smith’s new Eleventh Doctor making his mark. With his youthful energy running around in the crashing TARDIS, his arrival was pure joy and a welcome breath of fresh air. Tennant deserved a better finale but Smith hit the ground running from the word go! 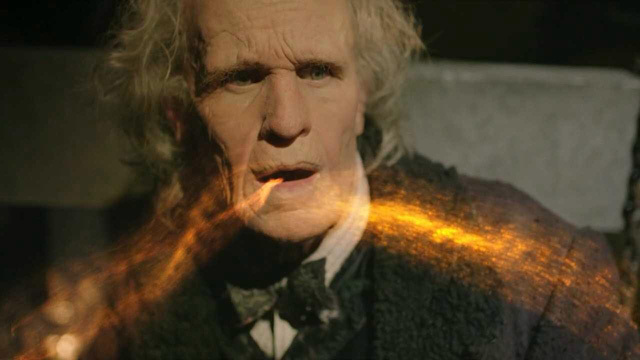 Smith’s energy continued into his first full story The Eleventh Hour and didn’t go away, lasting right through until his final story The Time of the Doctor. The sight of him running around in his TARDIS, or anywhere else for that matter, was a common occurrence and never an unwelcome one. One of the best examples of this is in The Pandorica Opens when the Doctor and his companion Amy Pond are being attacked by a Cyberman (still the best Cyberman moment since Earthshock) and she’s screaming, but he simply gives her two thumbs up. This is an incarnation of the Doctor who lives and breaths on adrenaline. Not since Patrick Troughton had any Doctor been so physically energetic as this! The way you perceive the Doctor in all incarnations is his costume and the Eleventh Doctor has an iconic one! The brown coat, the bow tie and the occasional fez because (he thinks) “fezzes are cool”. Sitting between Tennant’s geek chic and Capaldi’s magician, this costume is one that really suits the Doctor – the costume is quirky, just like the Doctor wearing it. But while that tweed coat is well and good it’s not really until after he loses Amy and Rory that his costume really comes into its own. In The Snowmen he wears a one-off Victorian ensemble and then from The Bells of Saint John onwards he goes for a burgundy coat - that’s the one that does it for me! I love it when the Doctor goes for the Edwardian/Victorian look and Matt Smith does it justice. 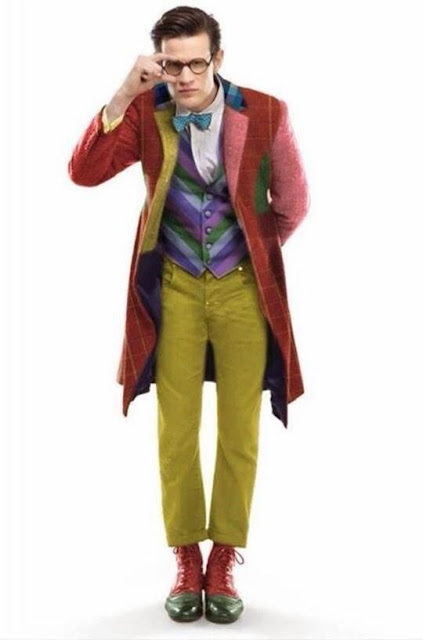 He doesn’t go round with leather jackets, celery, “an explosion in a rainbow factory” or the endless question marks; this is a costume that takes the Doctor back to his roots. There were four companions to this Doctor and he shared a special bond with all of them. Amy Pond was “the first face [his] face saw” and he travelled with her and her fiancee, later husband, Rory Williams. The three of them were best friends and the dynamic between them remains the best between any Doctor and companion(s) ever since the beginning, stealing the crown from Seven and Ace. This relationship was a complicated one. Amy fancied him, having grown up believing him to be an imaginary friend from a childhood dream, and Rory often found himself having to stand up for himself over it. Then it turned out they were in-laws when the Doctor got married. The entire first season of adventures with them saw Rory erased from all of time for a short while. This is not the sort of thing that you normally expect from this show and their time together was marvelous thanks to all the unique storytelling approaches afforded because of it. When the touch of a Weeping Angel took them from him it shattered him and it’s not hard to see why, even sending the Doctor into a period of mourning and retirement because of it. That’s when he met Clara, a mysterious woman who took him out of his depression when her very existence piqued his curiosity. She was impossible and he needed to find out how. The dynamic he shared with Clara was a flirty one but strictly platonically so. They were good friends and when he regenerated in front of her into an older form it was implied that this was because on a subconscious level he knew he could trust her to accept him for the centuries-old alien he was. Clara is someone he trusted and even had the forethought to call ahead and make sure she would still be there for him on the other side of regeneration. Professor River Song is a recurring figure throughout the Eleventh Doctor’s life and always a welcome inclusion in any story. Having first met her on his last life he knew she was someone he could trust and she played up to that mutual trust a lot. She even went so far as to jump off a building at one point, because she knew full well he’d position the TARDIS halfway down its side for her to land inside. She did something similar with a spaceship after blowing it up. There was also that time when she nearly destroyed all of time and space just to avoid being forced to kill him. She and the Doctor loved each other and her passionate speeches in The Wedding of River Song drives this home – she will do literally anything for him. That’s love! The Doctor needs his enemies, just like any other hero does, to prove himself. What we got was a brilliant selection of villains for the ages! While Matt Smith played the Doctor we saw the old favourites like Daleks, Cybermen, Sontarans and Ood as well as several classic era foes making their return including Ice Warriors, Nimon, Silurians and the Great Intelligence, the latter even receiving an origin story. Also returning we had the Weeping Angels who really come into their own during this period. While the Eleventh Doctor never met the Master there is an incarnation of the Master in both his first and last appearances, John Simm in The End of Time and Michelle Gomez in Deep Breath. But it’s the new villains who everyone associates with Doctor #11 and while we can enjoy such things as Prisoner Zero, the Atraxi, House, Gillyflower, Simeon, the Flesh and the Dream Lord (to name but a few) there are none as iconic as the Silents. Serving as the priests of the Silence, a Silent is a creature that you forget the moment you look away, and who have conquered the world via post-hypnotic suggestion. And their one goal is to kill the Doctor. Moffat creates a fundamentally creepy concept for them and makes them look like the stuff of nightmares (seemingly inspired by Edvard Munch’s painting The Scream). Coupled with their chilling voices, long bony fingers, slimy skin and the fact that they wear suits, they truly are a sight to behold. They are the best monster design in the whole of the revived series and I’d even suggest you have to go back as far as Davros (that’s 1975 by the way) to find a creature design that can rival them in the creepiness department. One defining aspect of The Matt Smith Era is the complicated and intricate storytelling. 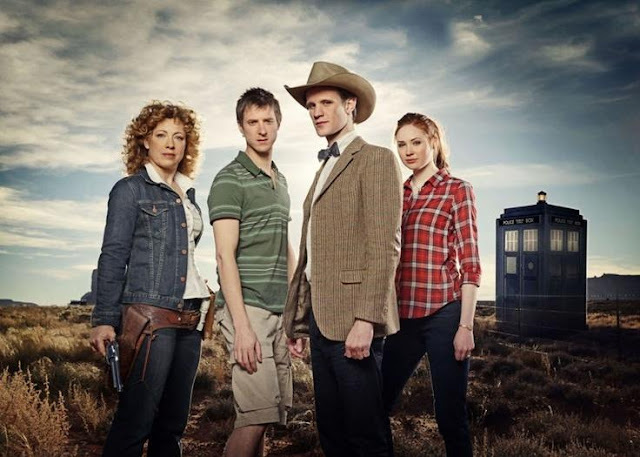 The cracks in time, the Silence and his relationship with River are all brought up throughout series five and six. Then in series seven he meets Clara and it’s with her help that he saves Gallifrey before arriving on Trenzalore where it all comes together. See? None of these things are individual story arcs; rather they’re all one big mega-arc! Clara being at the fall of Gallifrey caused Gallifrey to be saved, which caused the Kovarian Faction of the Silence's efforts to kill the Doctor, the crack (which the Time Lords were calling through in the first place) and River Song, all of this because THE DOCTOR SAVED GALLIFREY! And so in summary Clara Oswald saved Gallifrey, got the Doctor a wife and got him a new regeneration cycle, while also creating the USA’s space program (because the Silence needed a spacesuit). Every single arc of Eleven's tenure, in this beautiful, tragic, astonishing, mindblowing, glorious and very, very timey-wimey way, come together as one. It’s a common misconception to put them all as separate story arcs because they’re all one. Gallifrey Falls No More but this did cause The Fall Of The Eleventh. Steven Moffat you genius! This is just the sort of storytelling that the Classic Series could never do but with the winning combination of Moffat & Smith it is the kind of complicated intricate storytelling we were blessed with. 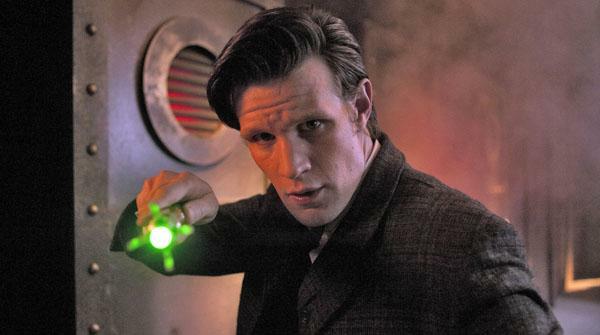 The Eleventh Doctor is the oldest Doctor in the youngest body. He may not look it but he has experience from over a century’s worth of life. He has great wisdom for every situation, comforting people when they’re down and encouraging them when they need it. “We’re all stories in the end,” he tells Amy. “We’re different people all through our lives and that’s okay, we’ve got to keep moving,” he tells Clara. Very wise and poignant words indeed! If you cross him then you may first want to update your will. If you’re a good person though, he’ll be your best friend. This is someone who will go to great lengths to protect his friends so you can feel safe with him. Look what he does to the Silents after they kidnapped Amy or to Solomon after he killed the Silurians. He’s passionate about what he stands for and his big speeches show this. “There’s one thing you never put in a trap” from The Time of Angels, “A pile of good things and bad things” from Vincent and the Doctor, “Hello Stonehenge” from The Pandorica Opens, “We’re all stories in the end” from The Big Bang, “Inside you are just so small” from The Doctor’s Wife, “Take my memories” from The Rings of Akhaten and “Never tell me the rules” from The Time of the Doctor are all speeches that Matt Smith delivers perfectly and convinces you that this is a man speaking with 1000s of years behind him and a drive to keep fighting the good fight as best as he can. So those are just a few of the things that I think make the Eleventh Doctor and The Matt Smith Era stand out. I know you won’t all agree with me on everything but I hope I’ve made my case well. 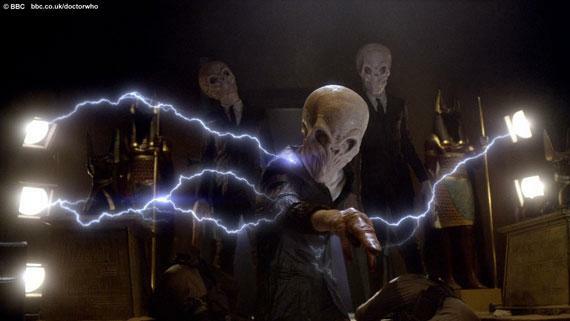 I love all eras of Doctor Who to varying extents but to my mind the period between 2010 and 2013 has yet to be topped. 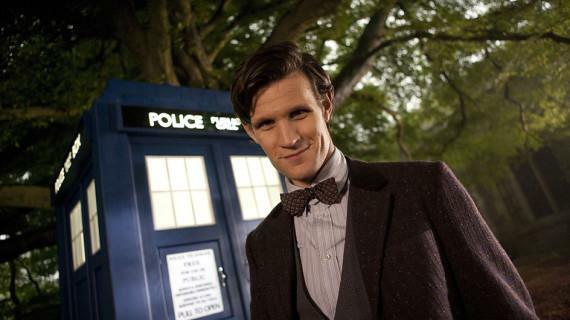 I love the Eleventh Doctor with all my heart (both of them) and always will. I love all four of his companions. I love the storytelling of the era. I love 92.3% of the stories with him in – yes, I did the maths – and even the three that I don’t like have got Matt Smith in them, which is always a good thing.